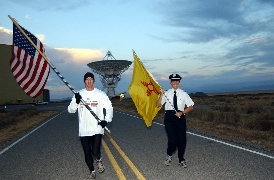 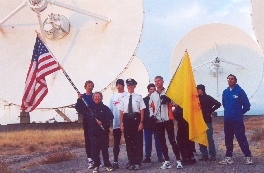 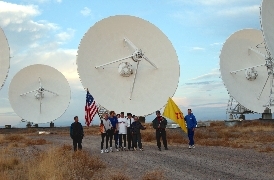 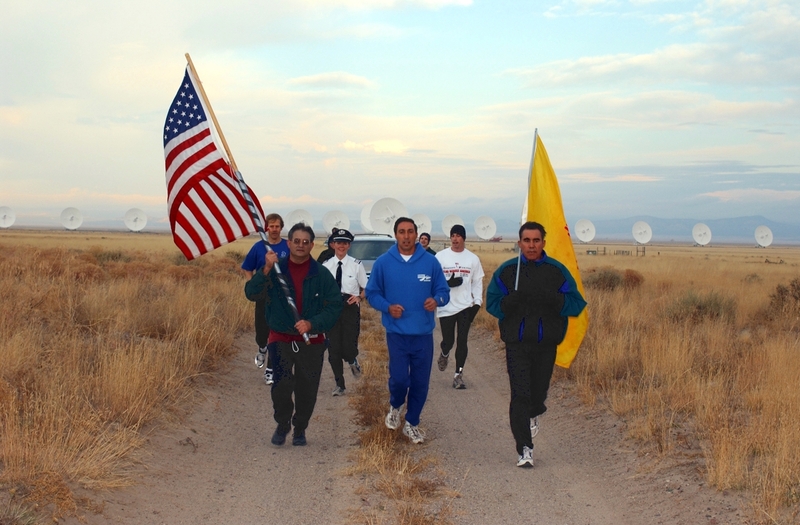 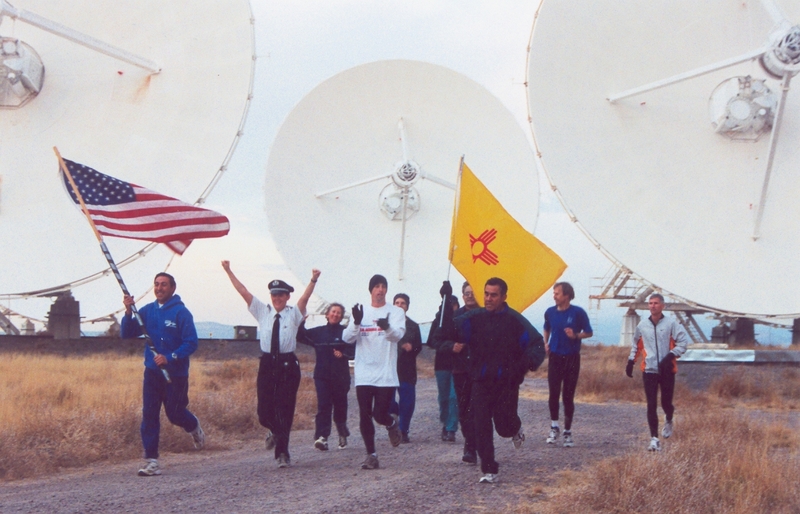 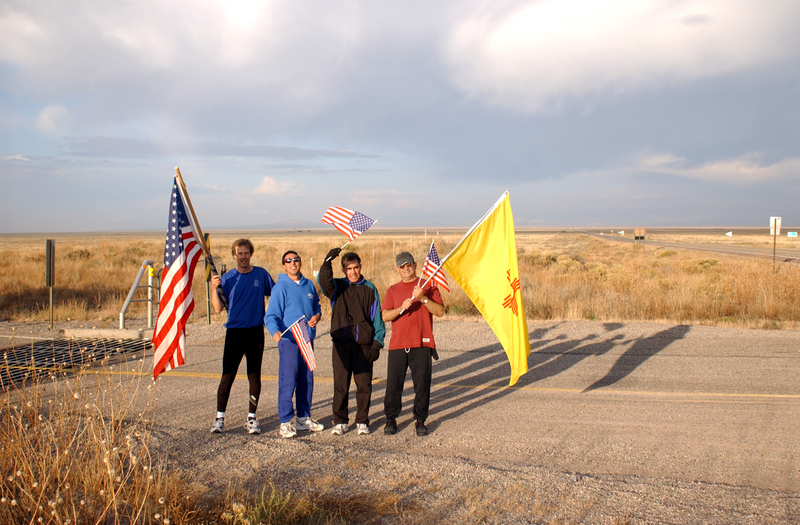 VLA Hosts "Flag Across America"
The National Radio Astronomy Observatory (NRAO) hosted the runners and support personnel of the "Americans United Flag Across America" run as the transcontinental memorial and fundraising effort came through New Mexico. The flag run arrived at NRAO's Very Large Array (VLA) radio telescope west of Socorro, NM, early in the post-Midnight morning of Monday, November 5, and departed after sunrise that morning en route to the Arizona border. 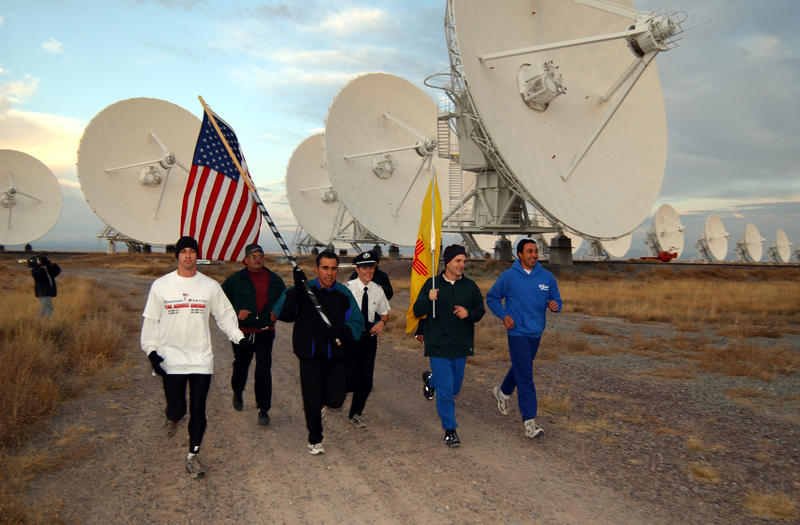 Drivers, runners and support personnel stayed overnight at the VLA. During the night, a "VLA Night Owl Run" kept the flag moving around the VLA area until the westward trek resumed after dawn. 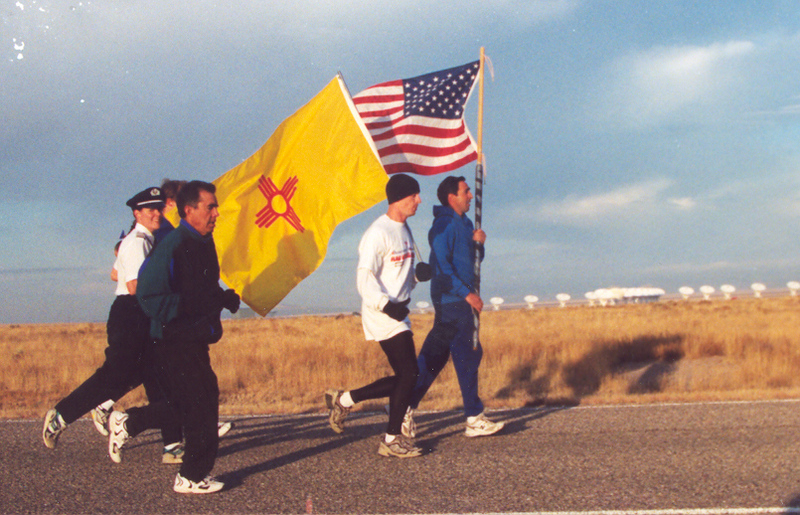 The run began Oct. 11, one month after the terrorist attacks on New York and Washington. Organized by employees of American and United Airlines to honor the flight crews lost in those attacks, to show support for U.S. troops and to raise funds to help the victims' families, the run will take an American flag from Boston Logan Airport to Los Angeles International Airport. 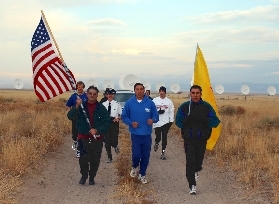 The Boston-to-Los Angeles trip represents the intended journey of American Flight 11 and United Flight 175, both of which were crashed by terrorists into the World Trade Center. 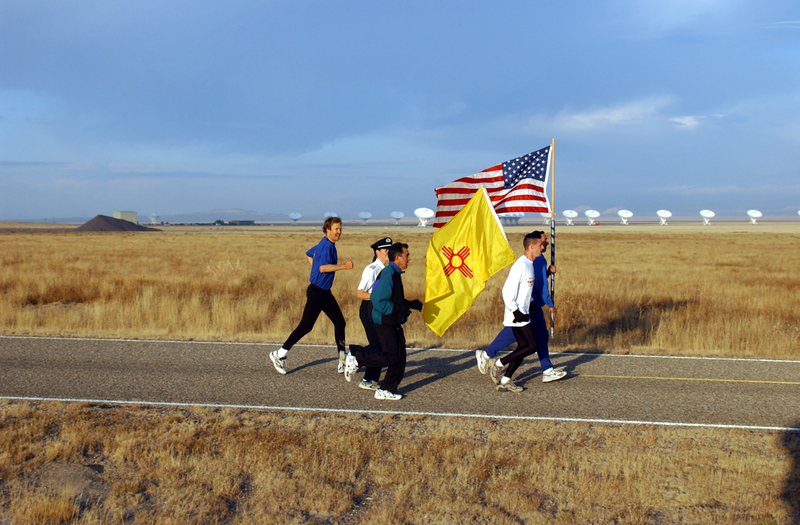 "Our observatory was proud to host this group and honored that they brought this flag through our facility," said Miller Goss, NRAO's director of VLA operations. 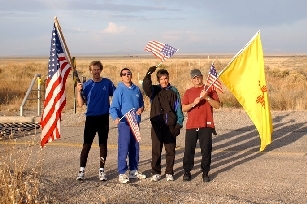 The runners carried a flag that flew in a U.S. F-16 over Iraq in support of Operation Southern Watch on Oct. 2, and has visited Ground Zero in Manhattan. 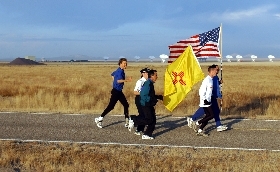 The flag is scheduled to arrive in Los Angeles on Veterans Day, Nov. 11.